Honk Kong research firm CLSA checked out LCD display sales from DisplaySearch and armed with that data, CLSA concludes that Apple will sell 14.4 million Apple iPad 2 tablets in the quarter that starts next month. Others have estimated that the Cupertino based tech giant will sell 10-12 million units of the Apple iPad 2 in the third quarter. The research firm threw in a major caveat, saying that Apple has missed on 2 out of the last 3 forecasts of tablet sales, even when supply chain forecasts were higher than the current readings which does not bode well for the accuracy of this prediction. 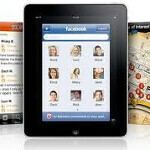 CLSA also predicts that Apple will release a 4G LTE compatible iPad 2 model in time for the holiday season at the end of the year. As we reported, during this year's WWDC, Apple announced that it had sold 25 million iPads during the device's life span, through the first week of June. That would make a 14 million sales quarter a very impressive number for Apple, especially in face of increasing competition from Android tablets, the BlackBerery PlayBook and starting next month, the webOS flavored HP TouchPad. But it does not support flash, lol. my own personal analysis team has concluded that godzilla will indeed raise his head by 2015 in japan in responce to the nuke problem. anyone can make a baseless prediction based on guesswork :) for anyone that doesnt get the joke, godzilla was originally an analogy for the "evils" of nuclear power.